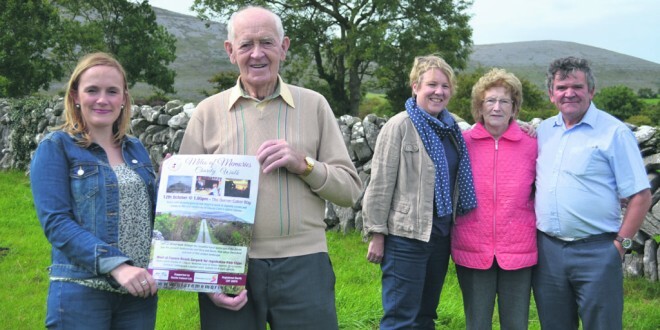 Launching the Miles of Memories walk in the Burren were, from left, Carmel O'Dea, Chris Droney, Linda Quinn, Margaret Droney and Leonard McDonagh. THE Miles of Memories charity walk, which will take place in the Burren next month, was officially launched by musician Chris Droney this week. 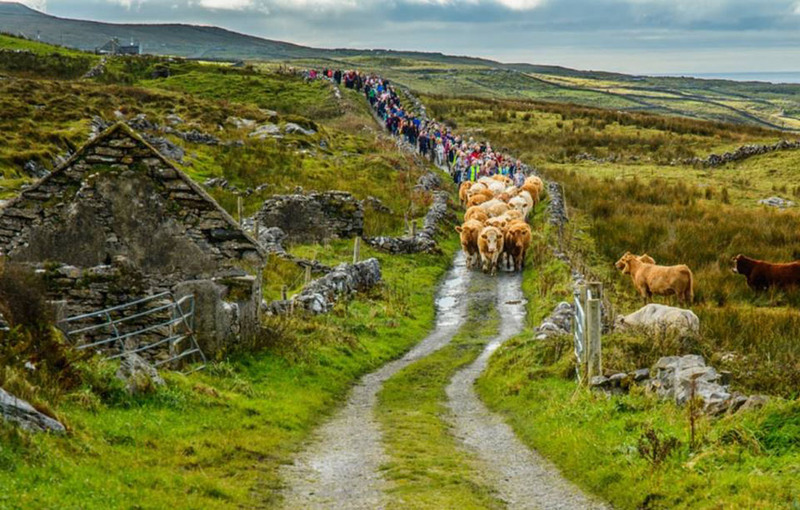 The walk will take place on the Caher Way on Sunday, October 12 at 1pm and is an important fundraiser for Cuimhneamh an Chláir, the Clare oral history and folklore group. The organisation has amassed a significant archive since it was established in 2009, with over 540 of Clare’s most elderly citizens recorded. 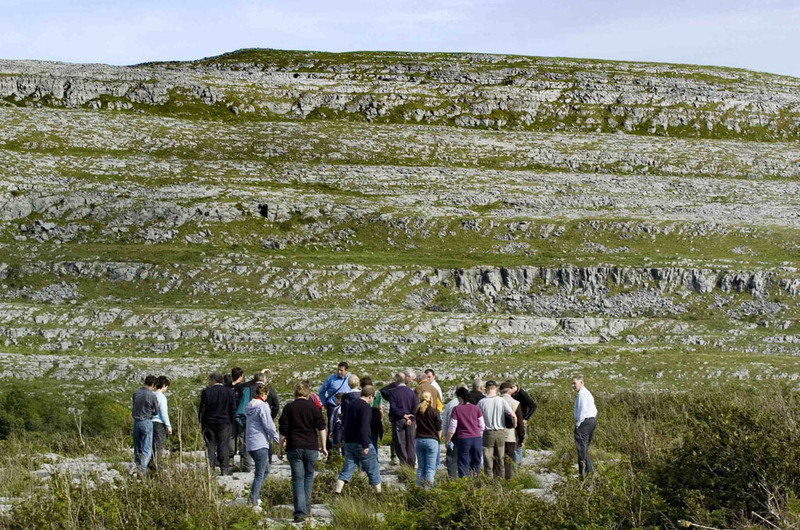 The walk will include talks on the heritage of the Burren, using interviews from the archive, as well as speakers on the day, covering topics like botany, geology, local history and archaeology. Walk co-ordinator Linda Quinn explained, “The walk will take place on Sunday, October 12 with registration from 12pm at the Fanore Beach car park. The walk will follow the scenic Caher Way, with stunning views across the Burren and Atlantic Ocean. We are inviting people to come and join us for a great day out. The walk is supported by Shannon Airport, Roche Ireland Ltd and St Tola Irish Goat Cheese, based in Maurice’s Mills. “We are delighted to launch this charity walk on behalf of Cuimhneamh an Chláir. Their work is of such huge importance to the people of the county. The memories and traditions being collected will be cherished by this and future generations. I’ve been recorded myself and would encourage others to do the same,” outlined Mr Droney. Veteran walker and local historian, Joe Queally, is helping Cuimhneamh an Chláir with preparations and will be leading the walk on the day. “When I heard of the great work being done by Cuimhneamh I really wanted to get involved with the walk and do anything I could to help. This is a great day out and combines a scenic walk with memories from the Cuimhneamh archive; some from the very area we are walking through. 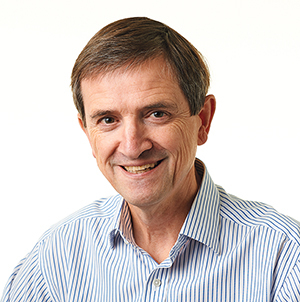 The walk will suit everyone, from veteran walkers to groups and families,” Mr Queally said. More information on the walk is available from www.clarememories.ie. The group is also looking for volunteers to help with ongoing fundraising. Sponsorship cards are available by contacting info@clarememories.ie or ringing Linda Quinn on 087 6494701. The group would also appreciate assistance from anyone who wants to help out on the day. This is Cuimhneamh an Chláir’s first charity walk and it plans to host one in every corner of the county over the coming years.